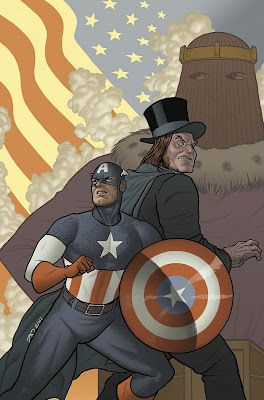 Joe Quinones' interweb-log: Captain America: The First Thunderbolt? Captain America: The First Thunderbolt? Above is the first of a four issue run of covers for Marvel's Thunderbolts series that I'll be working on, featuring Captain America. I've never gotten to tackle Cap professionally before, so I'm psyched. Cool cover! Love it! Nice palette.